The first rounds of a fantasy draft can make or break your team. While sleepers are fun to find later in the draft, the studs of your team are the ones to carry you to victory. That's why it's critical to thoroughly evaluate the top picks at the core fantasy positions. We're going to break down the top 10 fantasy players at quarterback, wide receiver, and running back in our PPR rankings and see which ones are the riskiest and which provide the best value. The riskiest quarterback in the top 10 has to be Marcus Mariota. He has new weapons to work with in Eric Decker and Corey Davis. However, it's still a big unknown how well they will work together. Additionally, can a "smashmouth offense" really produce a top-10 fantasy quarterback? 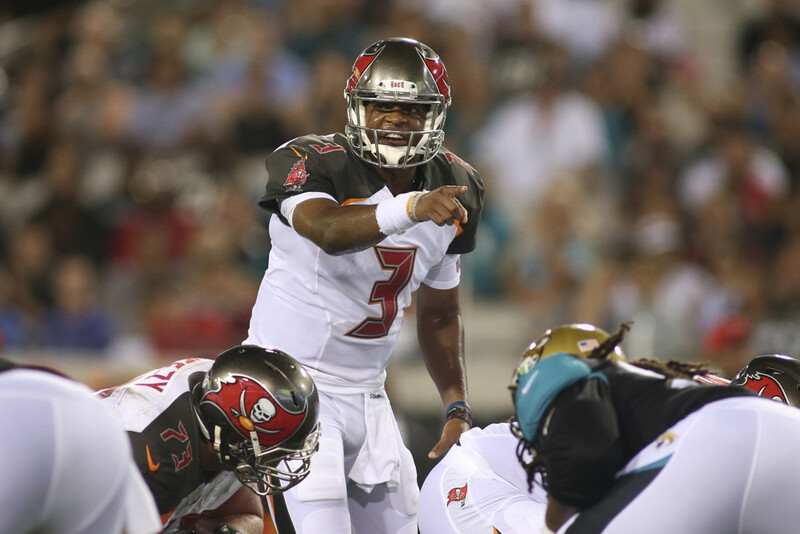 Jameis Winston now has a million weapons to work with. He is a blossoming young quarterback who is leading a powerful offense that could be one of the best in all of football. Bank on him leaning on Mike Evans to produce a memorable fantasy year for the Bucanneers. While he had a phenomenal rookie season, Michael Thomas is still in the New Orleans passing offense, which is notorious for spreading the ball around. Asking ANY New Orleans wide receiver to live up to the 7th overall wide receiver is a tall order. Expecting it from a 2nd year wide receiver is an even bigger risk. Look elsewhere on the Saints offense for value. Thomas is already being drafted at his ceiling. Mr. Reliable. That's A.J. Green every year in fantasy. Before an injury cut short his 2016 season, he had a streak of 5 seasons in a row with at least 1,000 receiving yards. Be glad that he's being drafted at a discount and snap him up as the 5th wide receiver off the board. He still has upside to be the top WR in fantasy. DeMarco Murray had a great fantasy season last year. However, there are three things that could work against him in 2017. First, the addition of two new receivers in Corey Davis and Eric Decker could lead to less attempts for him. Second, Derrick Henry is a talented running back and a constant threat for playing time. Lastly, injuries are always a concern for Murray. He was healthy last year, but he has quite a few injuries to his name throughout his career. Be careful drafting him this year. Jay Ajay is a big play threat that now has full control of the running back position in Miami. He also now has a solid quarterback in Jay Cutler to power the offense. Think back to some of Matt Forte's best seasons in Chicago. That is the upside of Ajayi this year with the Dolphihs. He could easily outperform his ranking as 9th best running back off the board.